Cold Steel Scimitar Sword(88SYS) Sharp medieval swords, two handed sword, viking sword, hand and half sword and others. Inspired by highly decorative antique Persian blades, Cold Steel’s latest Scimitar is a true Eastern jewel! Its handsome blade is deeply curved to facilitate the devastating draw cut, and beautifully polished with a wide, deep fuller. Made from expertly heat treated 1065 carbon steel, it is perfectly balanced and hand honed to a keen edge! The Scimitar’s large S-guard and tang are intricately engraved and the dark rosewood handle scales are securely held in place with three sturdy brass pins. The bulbous pommel features a brass inlaid hole for a cord, lanyard or sash. 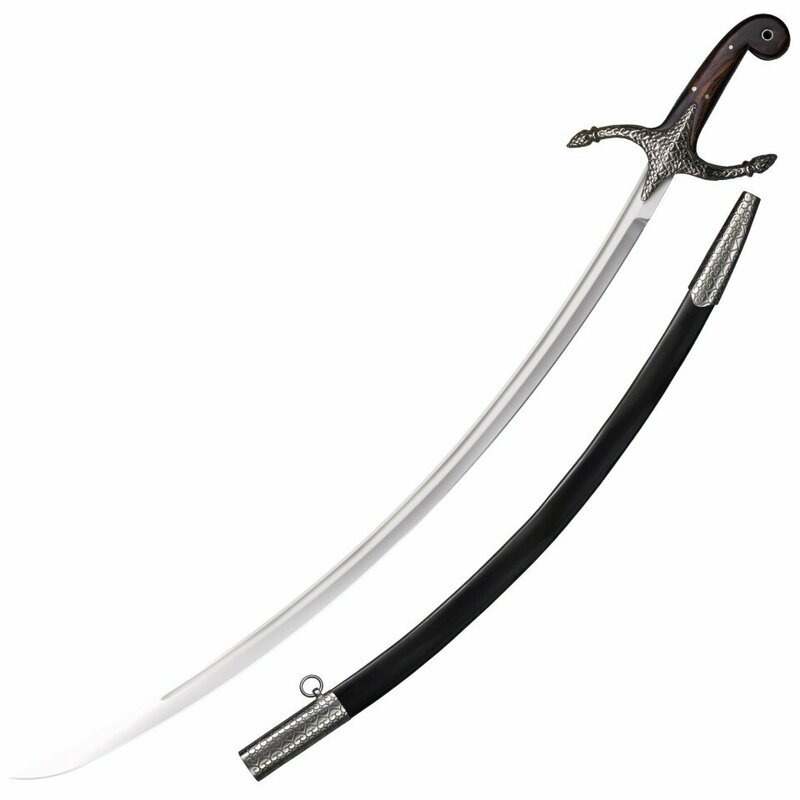 The Scimitar is supplied complete with a thick hand stitched leather scabbard with etched steel throat, chape and carrying rings.